The "Shanghai" City Pack is set to release tomorrow. The Shanghai City Collection elevates two iconic running silhouettes with street sensibilities in the Footscape Woven Motion and the LunarFly 306. Inspiration from the largest city in China informs both designs’ colorways, graphics, and materials, for a vibrant reflection of Shanghainese culture. The Footscape Woven Motion features a mostly goatskin upper with perforations for increased breathability. The iridescent heel tab and reflective webbing boldly channel the bright lights of Shanghainese nightlife while a traditional sole unit retains classic Nike styling. Additionally, the LunarFly 306, named in honor of the distance in miles of ultramarathons, sports a translucent, stretchable mesh upper with adjustable straps. 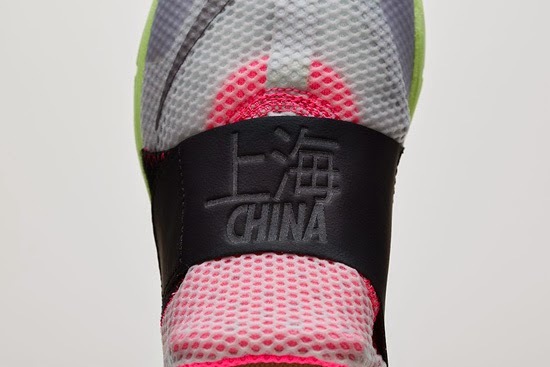 The bold design also incorporates reflective Shanghai detailing on the tongue for an added nod to the city that inspired it. A limited release, look out for the "Shanghai" City Pack at select Nike accounts worldwide on Friday, June 13th, 2014. 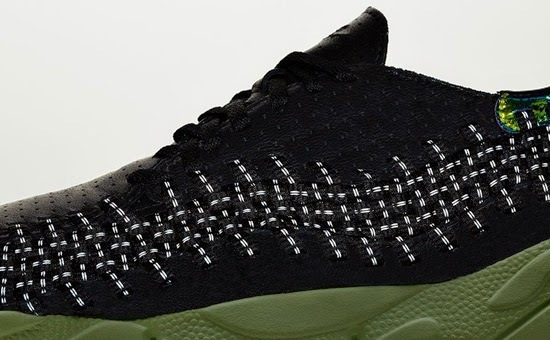 Retail is set at $160 for the Footscape and $105 for the LunarFly. Enjoy the official images below of the Nike Sportswear "Shanghai" City Pack featuring the Nike Air Footscape Woven Motion City in black, and pink pow as well as the Nike LunarFly 306 City in pure platinum, reflect silver and black. If you're interested in picking either pair up when they release, check in with your local spots to see if they will be receiving them. Those of you looking for the Footscape now can, grab them from eBay here. Those of you looking for the LunarFly now can, grab them from eBay here.